To provide a service to longstanding members who may be in temporary need, the ISTAT Board of Directors in 2017 approved a new program to provide complimentary admission to certain ISTAT events to longstanding members who are between jobs and meet certain guidelines. As ISTAT Americas approaches, I wanted to take the opportunity to reintroduce this useful program to those who may find it beneficial. We recognize that few may be in more need of professional networking opportunities than a person who has recently lost his or her job. We also recognize that ISTAT events provide an unrivaled networking opportunity for those between jobs. In addition, we understand that those who have recently lost their job may be facing financial pressures. As a membership organization, we are committed to providing support to our members when they may be in need and, as a result, are pleased to offer this program of complimentary event admission to eligible ISTAT members. 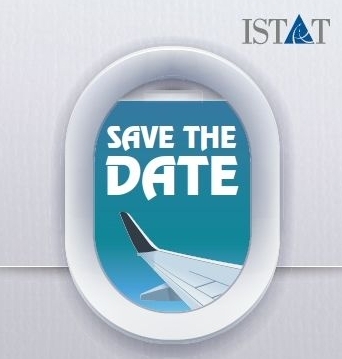 To be eligible for the program, you must, among other things, be an ISTAT member for at least five years and also have a history of regular conference attendance. All decisions will be made at the sole discretion of the ISTAT Executive Board. If you are in need and believe that you may be eligible for this program, please reach out to Julie Wichlin, ISTAT’s Executive Director, at executivedirector@istat.org. If you know of ISTAT members who may be between jobs and no longer have access to their company email address, I ask that you please share this message with them. As always, I welcome your comments and suggestions regarding any aspect of your organization. Please reach out to me at president@istat.org. 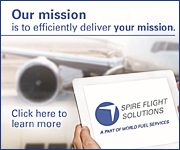 I look forward to seeing many of you in San Diego for ISTAT Americas. ISTAT members, you can now log into the ISTAT website using your LinkedIn credentials. Once logged into the ISTAT portal, certain fields of your LinkedIn profile will copy into your ISTAT profile. Please be sure to update your profile as often as needed, and don't forget to upload a headshot to your profile on the website. 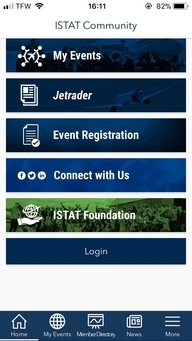 With the recently unveiled year-round ISTAT Community app, members have access to valuable ISTAT resources, such as the membership directory, Jetrader, association news and event information. You can also register for ISTAT Americas and other events through the app! If you used the ISTAT app in 2017 for ISTAT Americas, ISTAT Asia or ISTAT EMEA, simply tap the ISTAT icon on your mobile device. If you don't have the app, search "ISTAT Community" in your app store. After launching the app, tap "Cancel" in the top left corner to access the public app. 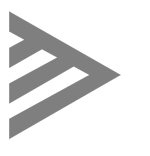 Log-in credentials are required to access the membership directory. If you accessed the ISTAT Americas, ISTAT Asia or ISTAT EMEA apps in 2017, you can log in using the same password. If not, follow the prompts after tapping "Member Directory" to create an account. ISTAT Americas – to be held 4-6 March 2018 at the San Diego Marriott Marquis in San Diego, CA, USA – will feature keynote presentations and panel discussions with industry leaders, in addition to networking events designed to provide opportunities to grow business and forge new relationships. Plan to join us at the President's Gala Dinner as we recognize the 2018 ISTAT Award Winner. Tables may be sponsored for $1,750. Contact sponsorship@istat.org for additional details. Register now to secure housing, and click here for an updated schedule of events. This year, ISTAT reflects on 35 years as we celebrate the society’s beginning in 1983. As we look back to the beginning and the growth that we have seen in the last three and a half decades, we’re seeking any materials that you may have saved through the years. Check-in and Breakfast: 7:30 - 8:30 a.m. Lunch and Awards: 1:30 - 3:30 p.m.
Click here for information on registration and sponsorships. Jeff Straebler has joined the ISTAT team as the Executive Director of the Appraisers’ Program. This new, dedicated full-time role was deemed essential by the ISTAT Board given the nearly 70 percent increase in Certified Appraisers in the past five years, with 22 Candidates currently progressing towards ISTAT Certified Appraiser status. 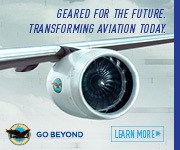 In addition, the board seeks to further elevate the program within the aviation community. 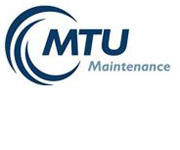 Jeff will be taking over from John Trevett, who will retire after a transition period. The ISTAT Board of Governors and the ISTAT Board of Directors would like to thank John for his service. Jeff will oversee and promote program enhancements, including the rollout of the online version of the popular Appraising 101 workshop later this year. He will also manage ISTAT’s continuing education program for Appraisers, as well as outreach to consumers of appraisal services. As an active member of ISTAT for more than a decade, including serving as a non-appraiser member of the Board of Governors that oversees the Appraisers’ Program, Jeff brings nearly two decades of aviation finance expertise including buying and selling aircraft and aviation-related debt, negotiating aircraft leases and loans and credit analysis of airlines, aircraft lessors, aircraft-backed debt and original equipment manufacturers. We will be once again offering, as part of the ISTAT Americas conference, the pre-conference Appraising 101 program for those interested in the practice of appraising or who would just like to know more about appraisals and what they mean. Plan to attend this event Sunday, 4 March from 1:30 - 3:00 p.m. Contact Tia Crowley at tcrowley@istat.org to register. 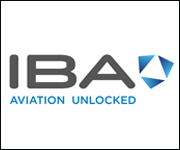 The newest Senior Appraiser is Alice Gondry, IBA Group. This brings our numbers to one Appraiser Emeritus, three Appraiser Fellows, 21 Senior Appraisers and 47 Appraisers, which is a record total of 71 ISTAT-Certified Appraisers. We also have 22 Candidates progressing towards Appraiser status. For more information on the Appraisers’ Program visit www.istat.org/appraisers. This is the fifth article in the ISTAT appraisers’ education series and focuses on definitions. ISTAT appraisal definitions have become the industry standard for billions of dollars of financings and in litigation, as well. This article sets them out and provides descriptive explanations for each. During a January presentation from the International Air Transport Association (IATA), an estimated 4.3 billion passengers are expected to travel by air at some point in 2018. 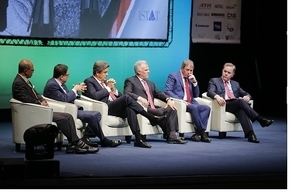 This projection marks an annual increase of approximately six percent, which could result in an eighth consecutive year of profitability, with airlines seeing the fourth consecutive year of "an aggregate industry profit in excess of our cost of capital," according to IATA Director General and CEO Alexandre de Juniac. According to data from the Aviation Safety Network (ASN), 2017 saw a historically low rate of fatal airliner accidents. 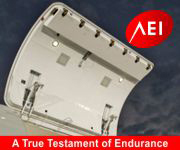 In total, 10 airliner accidents, resulting in 44 fatalities, were recorded, which marks a steep decline from the 16 accidents and 303 fatalities reported by ASN in 2016. As reported by Dubai Airports — the airport authority that owns and manages airports in Dubai — the Dubai International Airport transported nearly seven million passengers in November 2017, with numbers rising 5.6 percent in year-over-year growth. According to recently released data from the International Air Transport Association (IATA), demand for global air freight markets grew by 8.8 percent in November 2017, when compared against the same month in 2016. This also accounts for 5.8 percent growth from October 2017. Additionally, freight capacity grew by four percent, year over year, in November 2017, which marks a 16-month period of uninterrupted time during which demand growth has outpaced capacity growth.